Paid search engines deliver results. By definition, they only provide qualified, targeted traffic - in other words people don't find you by accident. With a well researched, well monitored PPC campaign - usually through Google Adwords - you can achieve very cost-effective promotion for your website. The most important part of creating successful campaigns is to regularly monitor the results, and we can help you with that too. 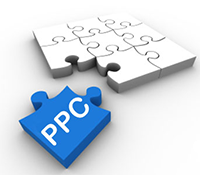 For larger PPC ad campaigns Netwise work with a specialised online marketing agency, helping companies run cost-effective online marketing campaigns using PPC advertising on search engines like Google & Bing. PPC can reveal more about your customers' online habits than other methods of marketing and can be targeted to any location, from a 20 mile radius to the whole globe. It is therefore very important to refine your advertising to make sure that you're keeping costs to a minimum and achieveing the best 'bang for your buck'.